Deductions for repairs, maintenance and improvements are areas the Australian Taxation Office pay particular attention to on annual tax returns. Investors who are looking to purchase a new property often look at buying off-the-plan. Are you an investor who’s heard about the benefits of depreciation and have decided to start claiming? Which Method Best Suits Your Investment Strategy? The Australian Taxation Office (ATO) allows investors to choose between two methods of claiming depreciation on plant and equipment assets. These are the diminishing value and the prime cost methods of depreciation. In one of the most dramatic changes to property depreciation legislation in more than 15 years, Parliament has passed the Treasury Laws Amendment (Housing Tax Integrity) Bill 2017 as at Wednesday, 15 November 2017. Owners of income producing properties are eligible to claim tax deductions for a number of expenses involved in holding a property, but all too often investors are unaware of property depreciation. If you’ve ever bought something online, you probably haven’t put much thought into the detailed process from purchase to delivery. Property investors evaluating their current financial position and considering what options they can take to improve the cash flow gained from their investment should consider a Pay as You Go (PAYG) withholding variation. The federal government recently announced some proposed changes relating to the depreciation of plant and equipment assets in investment properties. Bradley Beer (B. Con. Mgt, AAIQS, MRICS, AVAA) is the Chief Executive Officer of BMT Tax Depreciation. 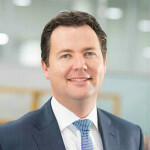 Bradley joined BMT in 1998 and as such he has substantial knowledge about property investment supported by expertise in property depreciation and the construction industry. Bradley is a regular keynote speaker and presenter covering depreciation services on television, radio, at conferences and exhibitions Australia-wide.